Readers’ Favorite announces the review of the Children – Picture Book book “Bump and the Family Tree” by T. D. Ashcraft, currently available at http://www.amazon.com/gp/product/0997042087. Bump and the Family Tree by T.D. Ashcraft is intriguingly clever. It is a picture book likely to appeal to children who are invariably attracted by lots of colour. There is also a great deal going on in most of the illustrations, which would keep them listening to the rhyming verses of the story. But that is not all! Most children’s books, if they feature families, tend to be Mom, Dad, and siblings, and possibly grandparents. This one caters for almost every variation you can think of, and several I confess hadn’t crossed my mind, and in these days when divorce and dysfunctional families have become the new “normal,” children from any background will find a “monster” in their situation. Are they friendly monsters? That would be telling. 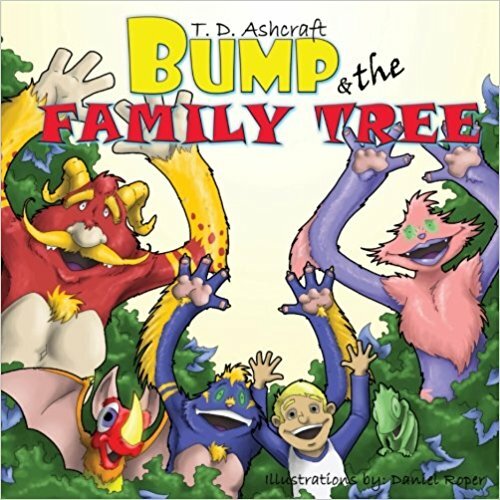 You can learn more about T. D. Ashcraft and “Bump and the Family Tree” at https://readersfavorite.com/book-review/bump-and-the-family-tree where you can read reviews and the author’s biography, as well as connect with the author directly or through their website and social media pages.